Our BMW grille insert trims are one of our most popular products, so much so that we have different sizes for almost any BMW model! 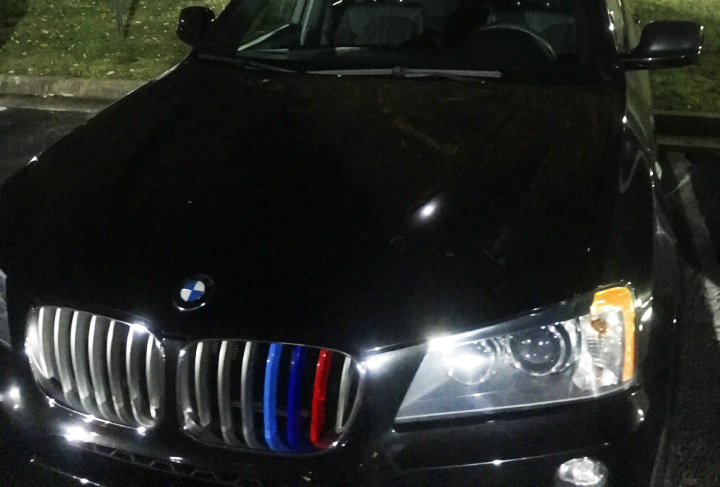 Greg decided his black 2013 BMW X3 needed some flair and thought the easiest and purest way to do that was to get our M-color grille insert trims! When people talk about Toyota, the first thing that comes to mind is their unbeatable reliability in all their cars. This goes for their sedans, vans, SUVs, and their trucks. 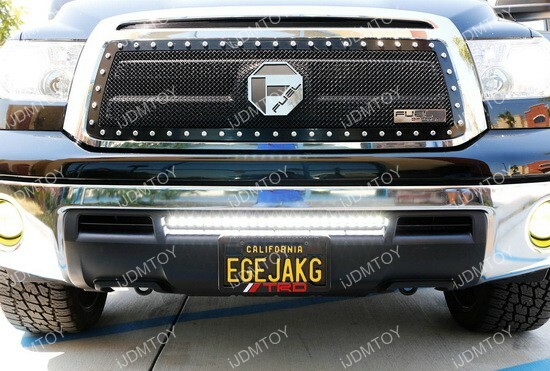 Just like one of our customer here with his Toyota Tundra, people use their trucks to go off-roading and travel where it’s hard to see at night which is why he equipped our iJDMTOY Toyota Tundra LED Light Bar. 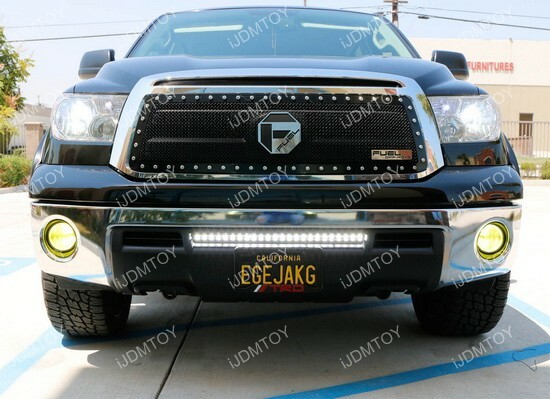 This iJDMTOY Toyota Tundra LED Assembly is made for the 2007-2013 Pre-LCI Toyota Tundra giving it that aggressive look in the front of the truck. It’s powered by a 54W CREE high powered LED with specially designed black powder coated full metal constructed lower bumper grille mounting brackets. 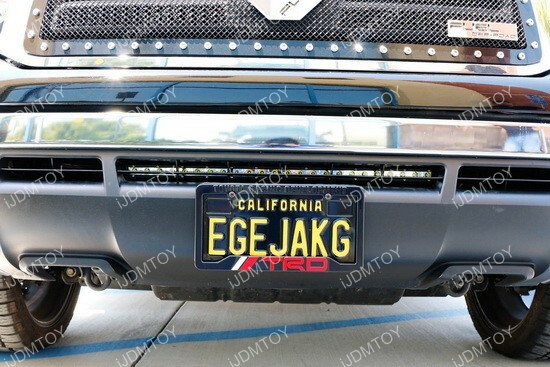 The LED light bars are directly mounts to the factory bolts inside the bumper’s lower grille which means there are no modifications needed to install this LED light bar. If you’ve got a Jeep Grand Cherokee, you know how important it is to drive safe, but still have fun. The Jeep Grand Cherokee is for the driver who has precious cargo to haul but still wants to on a road trip on occasion. 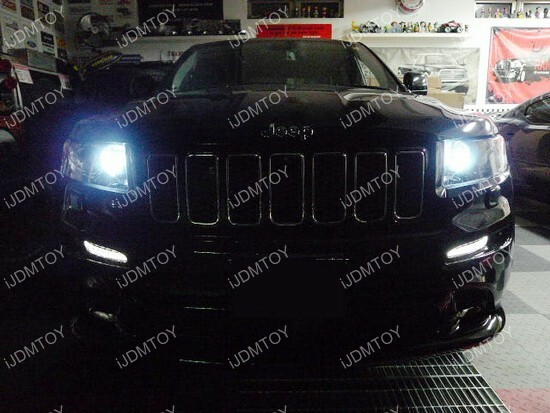 Since this car can be utilized a number of ways, the best thing to do is make this car as versatile as possible, with a new set of Grand Cherokee LED DRL to be great on the road and off the road. These are extremely bright high powered LED bulbs that are made with high powered CREE LED emitters. 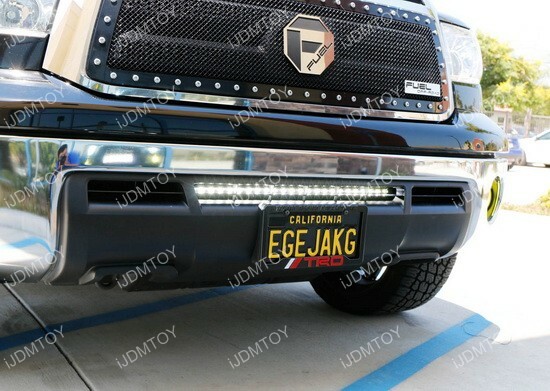 They can even be used as backup lights or turn signal lights. The Nissan Altima is quite a popular car on the road nowadays so naturally there are tons of upgrades available. One of the most sought after parts is a set of Nissan Altima LED DRL/Turn Signal Lamps that has two convenient functions: daytime running light mode and turn signal mode. The functions flawlessly switch from xenon white daytime running lamps to amber yellow turn signal lamps at the simple flick of a switch. It’s no wonder that these Nissan Altima LED daytime lights are so popular!